In THE WARS OF THE ROSES: The Fall of the Plantagenets and the Rise of the Tudors , an instant bestseller on publication this month in the UK, Jones picks up twenty years later and tells the dramatic story of how the longest reigning British dynasty tore itself apart in a bloody series of usurpations, reprisals and executions until it was finally replaced by the Tudors. Like The Plantagenets, this is a story of vendetta, treachery, and carnage that charts England’s bloody path from a lawless kingdom in thrall to powerful warlords to centralized government whose ruler could be kept in check by parliament. This trajectory seems surprisingly current given recent events in Afghanistan, Iraq and Syria. The Wars of the Roses may have more to tell us about the bumpy path towards a strong central government than any number of manuals on counter-insurgency warfare. The decline of the Plantagenets began when the feeble-minded Henry VI became king as a tiny baby, and although he was propped up first by his mother and later by his determined and vengeful queen, his reign descended into chaos and warfare. The fifteenth century saw the longest and bloodiest series of civil wars in British history. The crown of England changed hands violently five times as two ruling branches of the royal family—the houses of Lancaster and York—fought to the death for control. Some of the greatest heroes and villains in history were thrown together in these turbulent times—from Henry V, whose victory at Agincourt and prudent rule at home marked the high point of the medieval monarchy, to Richard III, who stole the throne and murdered his own nephews, the Princes in the Tower. THE WARS OF THE ROSES also features a cast of powerful and charismatic women: Margaret of Anjou, Cecily Neville, Elizabeth Woodville and Catherine Valois, Henry Vth’s young widow, who married an insignificant Welshman named Owyn Tudor. Their grandson would topple Richard III, the last Plantagenet King, at Bosworth field, bringing the Wars of the Roses to an end and ushering in the Tudor dynasty. As brutal and chaotic as this time was, it was also a high point in the age of chivalry, when the printing press arrived, the Renaissance began to flourish and the first modern voyages from Europe to the Americas were undertaken. With vivid descriptions of the battle of Towton, where 28,000 men died in a single morning, to Bosworth, where the last Plantagenet king was slayn, THE WARS OF THE ROSES is the real story behind Shakespeare’s famous history plays and is a bold and dramatic narrative history for fans of Game of Thrones or The White Queen. 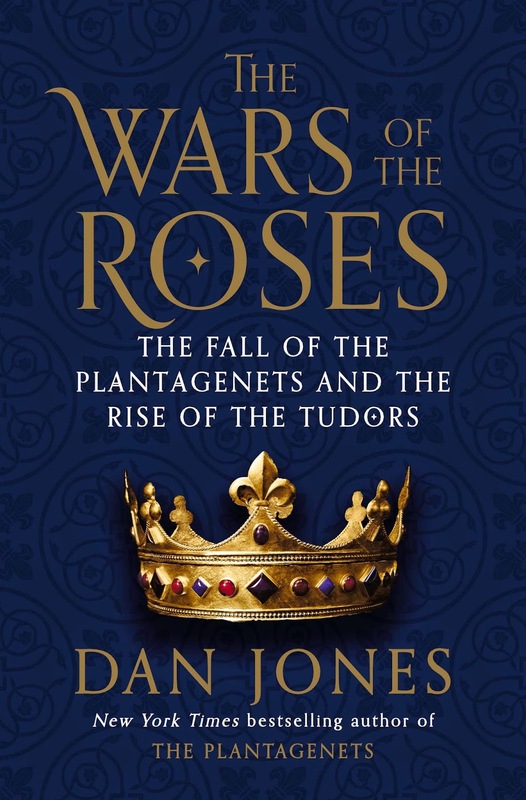 Dan Jones is the bestselling, award-winning author of The Plantagenets and Summer of Blood. A graduate of Cambridge University, where he was a star student of David Starkey, he has presented a documentary for the BBC’s Handmade in Britain series and has appeared on numerous radio and TV shows, including Diane Rehm and Time Team. This year he filmed two television series – one based on The Plantagenets (in which he played a cameo role) and another entitled Great British Castles. Both are slated for broadcast in 2015. He travels frequently to Los Angeles and has spent time following and consulting with the stars of Game of Thrones.